Hilton Worldwide has signed a management agreement with Jabavu Village Ltd to open a 255 guestroom and suite hotel in Nairobi, Kenya’s capital. “In recent years Upper Hill has grown to become a hub for international businesses and organisations, with a number of embassies and organisations setting up their regional offices in the district, including Cisco Systems, World Bank and the IMF,” said Patrick Fitzgibbon, senior vice president, development, EMEA, Hilton Worldwide. Kenya is one of Africa’s fastest growing economies with strong growth in agricultural, tourism, construction and telecommunication sectors. The country’s diversifying economy means it is a popular destination, busy with leisure and business travellers. Mr Mahat Noor, Project Director of Jabavu Village Ltd, said, “Hilton Nairobi Upper Hill is our first project with Hilton and we are tremendously excited to be collaborating with them on this spectacular development. Business travellers will have a wide choice of professional facilities to choose from including a ballroom and meeting rooms of approximately 1400sqm. Guests will also have access to an outdoor pool and fitness and spa centres. 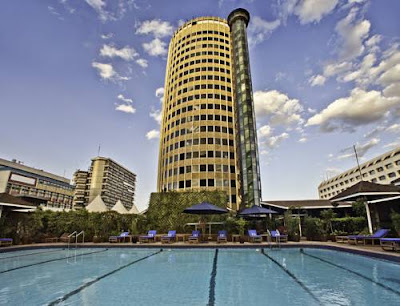 “The iconic Hilton Nairobi Upper Hill will be our 50th Hilton Hotels and Resorts property trading or under development in Africa,” said Jim Holthouser, executive vice president, global brands, Hilton Worldwide.